Despite Kanye West’s tweets to the contrary. 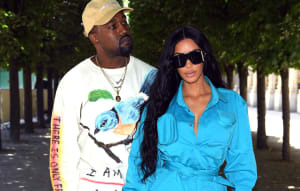 After Us Weekly initially reported that Kylie Jenner had signed a 7-figure deal with Puma, Kanye West took to Twitter to fire off a series of angry tweets rejecting the very idea that an ancillary member of West's family would be affiliated with anyone but Adidas. However, while the deal was reported as still on as recently as Monday, Puma has now officially issued a statement announcing a spring campaign featuring Kylie. The FADER has reached out to Puma for confirmation.